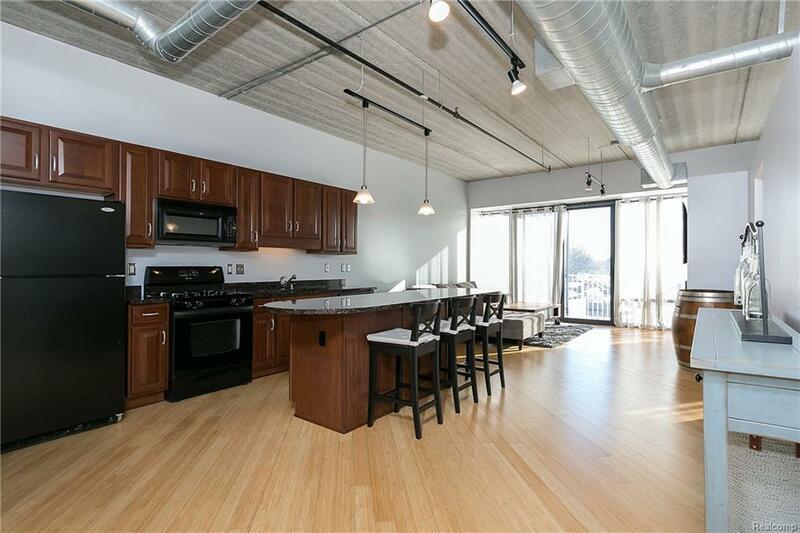 Bright and airy south-facing loft in downtown Royal Oak! 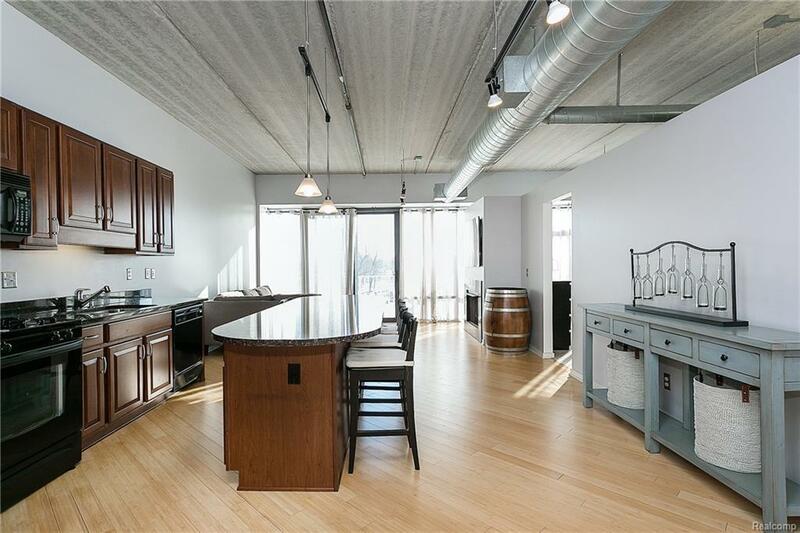 Open concept living space features kitchen island with bar seating, granite counters, gorgeous hardwood floors, gas fireplace and private balcony. Master bedroom features floor-to-ceiling window, walk-in closet, and a full bath. The second bedroom with built-in bookshelves is a great office space or guest bedroom. In-unit laundry with stackable washer & dryer. 1 parking space in heated garage and 1 space in attached lot. 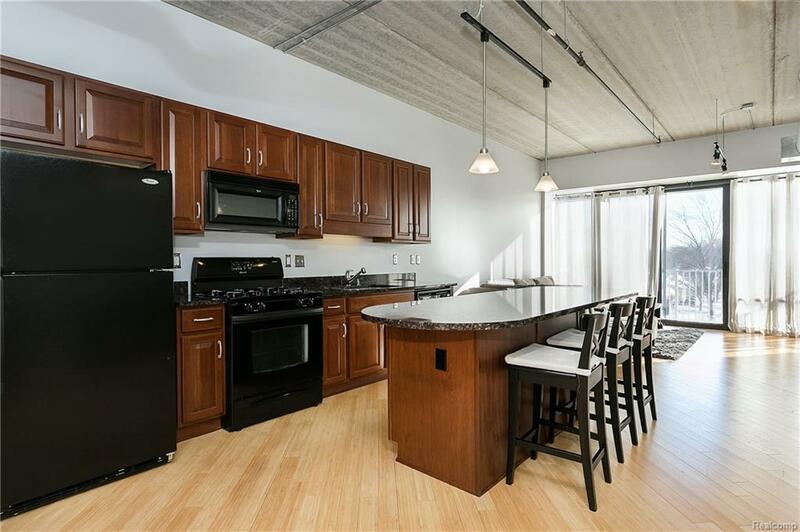 Fitness center, personal storage unit & bicycle storage. 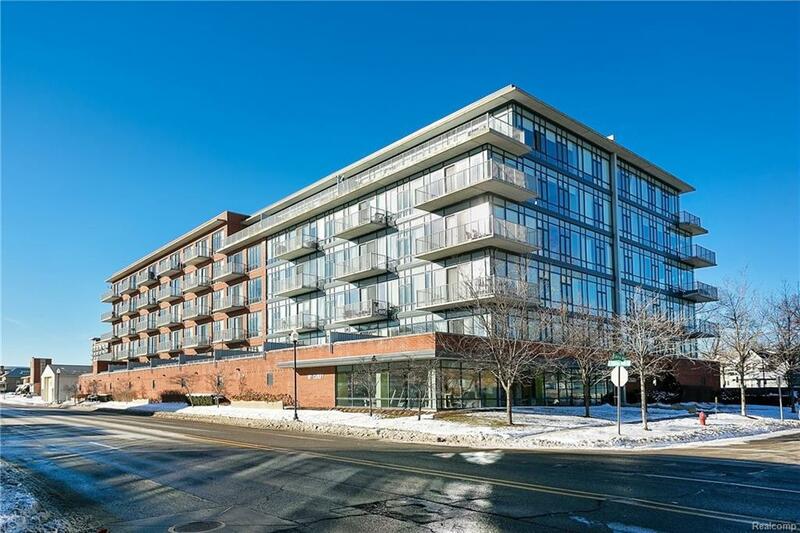 Amazing downtown Royal Oak location across from the farmer's market and library. Association dues include gas & water.